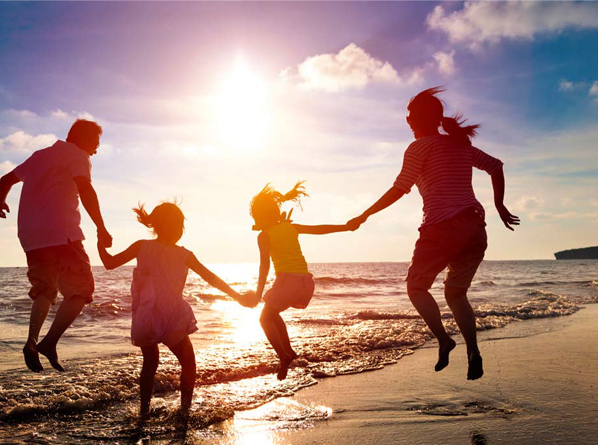 Why vacation ownership with Frontline Holidays? RCI is the global leader in vacation exchange, delivering vacation experiences to millions of leisure-bound families since 1974. With one of the largest collection of resorts around the world, RCI gives you access to nearly 4000 plus affiliated resorts in over 100 countries across 6 continents! Whether you’re looking to get away from the buzz of city life, share an action-packed week with your family or simply unwind with a light weekend with your friends, it’s all in here for you. At RCI, we understand that no matter how busy life gets, you cherish the time you set aside each year to get away and create memories that will last a lifetime. And it’s because your vacation means the world to us, that we are so dedicated to delivering vacation memories that last a lifetime. RCI members receive incredible benefits from their vacation ownership with the ability to trade what they own for a 7-night exchange vacation in amazing destinations around the world. Take two vacations from one week! Trade your full week holiday and split it into two short holidays at select RCI affiliated resorts across the country and South East Asia. Frontline Group, a well-known group of Companies founded by a visionary young entrepreneur with one motto ‘Services Unlimited’ Since its inception in the past decade, Frontline Group has grown into one of the region’s leading companies. Mr. BP Nassar proceeded his career into Logistics and launched Frontline Logistics in the year 2008 along with three of his relatives & partners Mr. Musthafa Kari, Mr. Afsal Ali and Mr. Anwar Ali a modest 4 member team and transformed it into a Company with 220 employees, 7 divisions and operations in 6 countries namely, Kuwait, UAE, Iraq, Saudi Arabia, Qatar and India and having a network all around the world. He plays a pivotal role in emerging Frontline Logistics Group into a leading brand in the Middle East and GCC. Over the years, the Frontline Group of Companies has provided the highest level of professional service to its clients by adhering to key principles such as integrity, communication, liquidity, growth, participation, profit and fun.